The Torddu variation have a distinctive broad striped face with a black band from jaw to belly and extending to the underside of the tail. The main fleece varies from pure white to light tan. Rams have dark spiral horns and the ewes are polled. 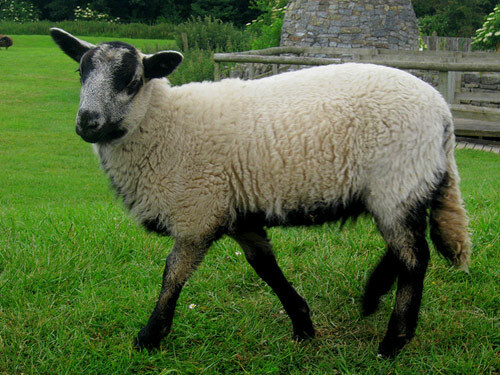 The Badger is a good breed for crossing, especially on ewe lambs.